On January 14th, 2013, Radka Máchová turned 64. She looks much younger than her age, and she, with her team of very skilled aerobatic pilots flying four high performance Zlin 50XL airplanes, pulls very high G forces that most of us would probably pass-out at. 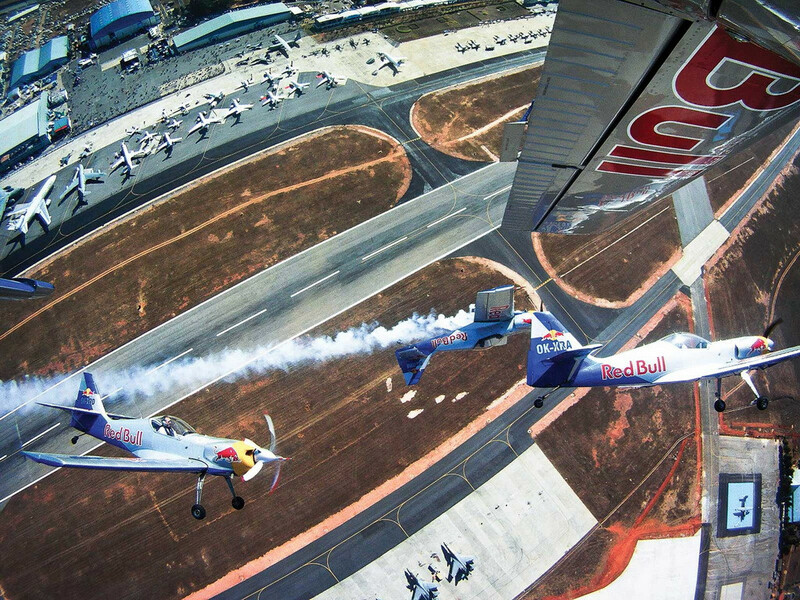 Tight formations, less than 1.5 meter separation between airplanes, and stunning air displays, place the pilots of the Flying Bulls Aerobatic Team in a special league. But in a field dominated by men, women like Radka stand out, making her all the more special, especially considering that she is the formation lead. The Flying Engineer gets to know more about this absolutely down to earth high flyer, who has has 400+ performances in 32 countries since 2002! 1.Your birthday was on the14th of January, 2013! When you look back 64 years, what do you see in your life as the one memorable moment that stands out from the rest? It is very difficult question. I don’t have an isolated most memorable moment – I still remember my first jump from an airplane with a parachute, my first solo flight and my first solo aerobatics flight! I cannot forget my first loop as a leader of our aerobatics formation and my first FAI Grand Prix competition at the Motegi, Japan, in the year 2002. I was very apprehensive about the outcome. 2. Why were you anxious? FAI World Grand Prix Motegi 2002 was for me my first competition in my capacity as a team leader. Other pilots of my team were more experienced than I was. I started very fast training for the position of leader from spring of 2002 only –giving me a very short time for training….due to which I was very anxious! It is really a nerve-racking situation when flying in a competition or display flight as opposed to a training flight. 3. 42 years of flying. How many hours of flying experience have you accumulated? 42years are really long time but except of my flying with Flying Bulls Aerobatics Team I fly only as a hobby private pilot. Till date, I have 1120 hours total flight time. 4. What made you take up flying? 5. When was your first taste of aerobatic flight? My first aerobatics manoeuvre was a loop and that feeling was wonderful! Flying upside-down and the feeling of the earth “above” you is indescribable. 6. 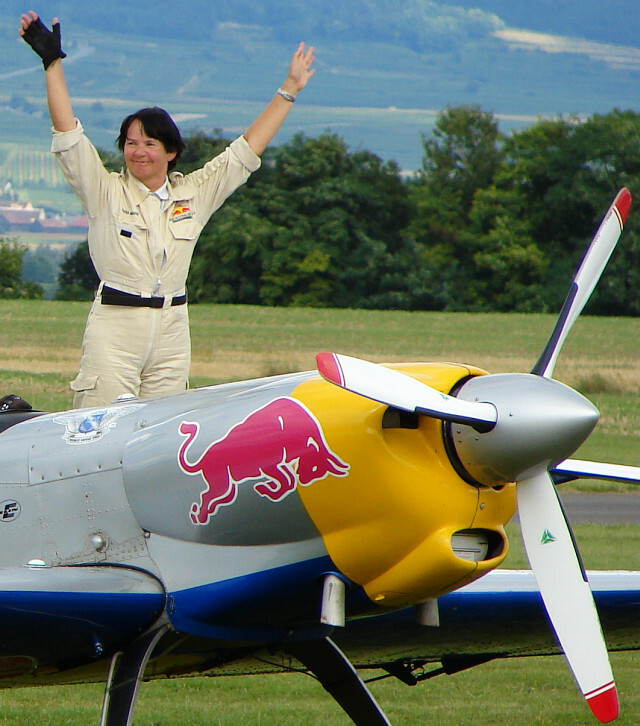 How did you transition into becoming such a successful aerobatic pilot? 7. You’re more than an aerobatic pilot: you’re a Commercial Pilot License Holder. Which are the other airplanes you are rated on? I have CPL with one engine rating only. I am fly all types of Zlin aircraft, piston Cessna 300 aircraft, Soccata TB 10 and an ultra light al well. Never have I flown as a business pilot. 8. You’re absolutely amazing. Simply astounding. And enterprising. Could you tell us about your business jet-charter company? After the “velvet revolution” in my country on 1989, when the political system changed from communist to capitalist, I had more opportunities in aviation. I work very hard as the Managing Director of the first business jet-charter company on the new Czech Republic. That was a very good experience for me…. Aerocharter Prague has me as the Managing Director (Personal, Commercial, Marketing, Navigation, Financial deportments- all represented only by myself! ), my secretary and hired pilots. From time to time I work as a Techniques Director al well…. That is a very hard job but a very good experience. I had some Czech pilots and plenty of hired pilots from across Europe and America. We operated a good number of aircraft – from Cessna 500 line to Falcon 10, Beachcraft 90 to Beachcraft t 200, Cessna caravan and Gulfstreem 1. Each airplane had different type of maintenance program, different maintenance centre, and different pilots training…. which is, as I say – a very hard job. 9. The Zlin 50LX that your fly: It is a powerful aerobatic airplane. Do you have any other aerobatic airplanes that you like? Among the newer ones will be nice Germany production aircraft XtremeAir Sbach 342. 10. Have you flown other aerobatic airplanes? Besides Zlin 50 I have experience with the Zlin 526, and small experience on Extra aircraft and the XtremeAir Sbach. 11. What is the most attractive feature of the Zlin 50LX? 12. What is the typical practice before an air show? First – ground briefing. Check the wind, visibility, base of cloud, obstacles, centre of display area, any restriction…. Second – direction of performance, ground “walking flying” . 13. Before you and your team of very finely skilled men set out to the airplanes to perform, what runs in your head? I have no idea what runs in head of my colleagues … I have to concentrate to perform our display, watch the timing, weather, wind, clouds., temperature of air, and correct avionics function on my board…. I have no time and space for any other ideas beside the display. 14. What is the feeling you get every time you sit in your Zlin 50? Zlin 50 is my lovely aeroplane and every time I sit in it, I feel very good and safe. 15. Which is your favourite moment when airborne? The moment when the airplane takes off, when the wheels leave the ground! 16. They say great flyers dissolve the boundary between man and machine. What is your opinion on that? My opinion is that it’s true – man and flying machine make one unit. You have to feel the aeroplane not as a machine only; you have to feel the aeroplane as a close friend. 17. Isn’t it a little difficult to taxi a tail dragger? How do you feel about it, as compared to a tricyle landing gear airplane? Between tails dragged and tricycle landing gear, there isn’t much difference. Tail draggers has little difficulties only on the ground – you have a small or wholly limited front view. You have to make special type of taxi as a wavy line. By my opinion is not necessary to have special qualifications for tail dragger airplanes, but regulations require so…..
18. The Zlin 50LX is a powerful airplane. How do you describe the feeling when you open full throttle for takeoff? As I’ve mentioned earlier – I concentrate only on the display. No place for any other thoughts. 19. The biggest question for most: Let’s say you are flying into formation with the other three airplanes. Now, your speed is high. How do you suddenly decelerate to maintain formation? I have to fly very skilfully, using only 75-80% power to allow for enough power reserve for other airplanes. And my colleagues continuously work with power, using the three bladed propeller as our air brake…. 20. How many hours did it take you to master the art of formation flying? Aerobatics flying is not about the flight hours. One aerobatics practise is a maximum of 15 minutes. It is a very hard job and after that, the pilot is too tired to perform well. Due to the aerobatic flight hours being accumulated slowly – unlike in other types of flying, for example, transport. For formation flying the pilot needs very good flight experience, aerobatics experience and a very good set of morals. Formation flying is about team cooperation: there is no place for troubles. I cannot say how many hours it takes to represent…..
21. When a highly experienced aerobatic pilot like you and your team members move from one aerobatic airplane to another, how long does it typically take to get used to the new airplane for formation flying? 22. What is the typical separation between your airplanes in tight formation? Aprx 1.5 – 3 metres, sometimes less! 23. When you pull your aerobatic manoeuvres, what are the maximum and minimum G forces that are experienced? During our display we pull +/- 5G-forces, sometimes more. But not more than 6.5 G.
24. Do you ever feel the rush of blood and the draining of blood? How do you describe that experience? Plus G – forces –in that case most of the blood flows to the legs and with minus G- forces, the opposite – blood rushing to the head. 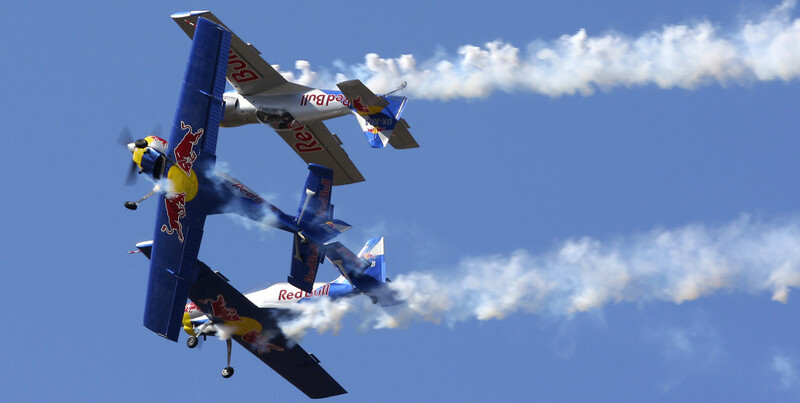 During the aerobatics sequence the G- forces keep changing from + G to –G and back. The pilot can lose, for short time, peripheral vision (resulting in tunnel vision) and sometimes the entire vision. Defence pilots have for that reason the anti- G suits. However, aerobatics pilots don’t have this, and must use the stomach muscles to control blood flow. 25. What is the key aspect in maintaining a good, tight formation with your team members? Main qualities include aerobatics experience, thorough practice, sense of responsibility and importantly, 100% confidence in skill of other members of team. 26. 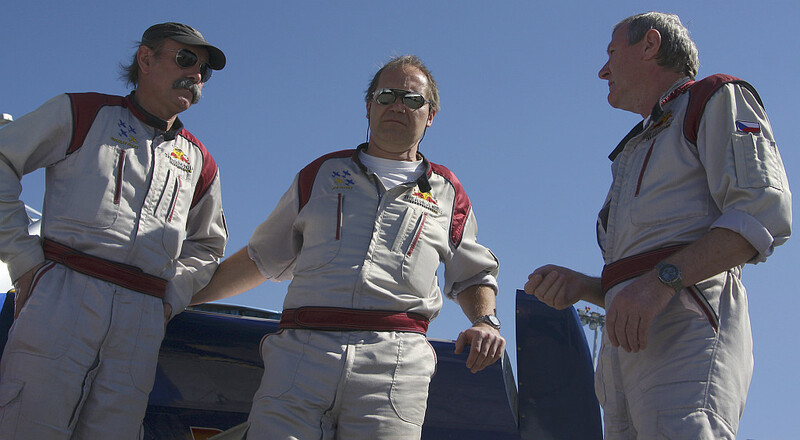 How much radio talk ensues between you and your members during formation flight and aerobatics? During our display I communicate over radio short instructions regarding the type and direction of the next manoeuvre. I also use it to communicate with the controller or display director. 27. You have flown aerobatics. Run a company that transports people by air. What do you say about these different forms of flying? 28. How do you keep yourself fit? I laugh, I smile, I eat, I sleeeeeep! I ride bicycles, ski, swim, scuba dive……. and many other things! 29. What do you think is the key element that defines who you are? 30. To the young out there, in the world: What is your advice? 31. 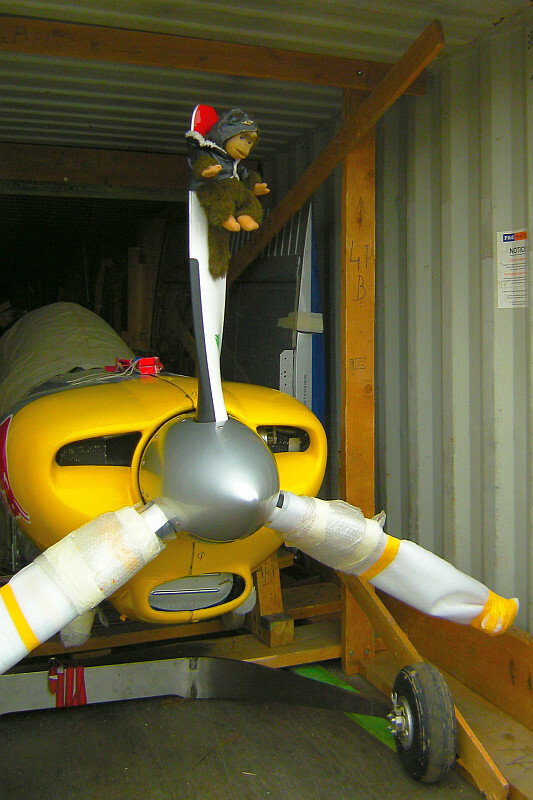 I see a stuffed monkey in the cockpit…. Monkey is our mascot. Over time, he has accompanied our airplanes. He flies with us at all our display venues. His place is on the right wing airplane bearing registration. OK-XRB! -As told to The Flying Engineer. 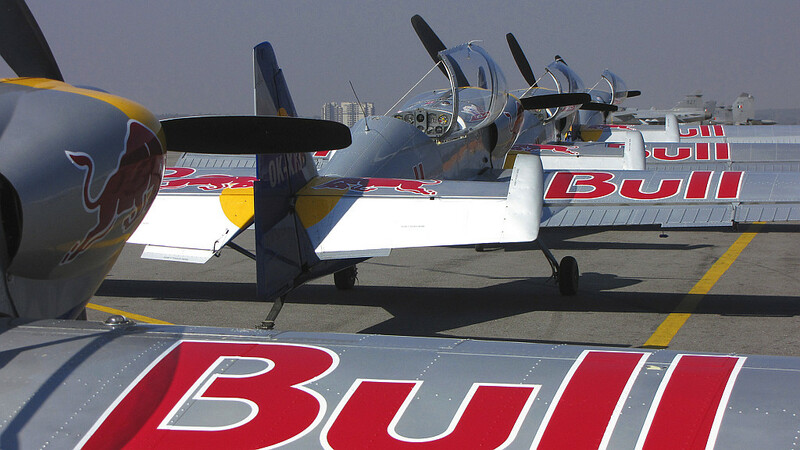 Get an idea of how the Flying Bulls practice and perform, by watching this video! i visited your website for the first time today and cant get myself away from your website..wish to read all the articles ..you really write well….all the articles are extremely lucid and informative.